QUEENSLAND league legend Darren Lockyer was an apprentice carpenter before he became an NRL star with the Broncos. So he was the perfect choice to be on hand as a special guest to officially open Bunnings Warehouse Bundamba yesterday with Bunnings managing director Mike Schneider and Bunnings Warehouse Bundamba complex manager Nathan Robley. The 39-year-old four-time premiership winner said he enjoyed doing things with his hands and recalled that as an apprentice he would cop "a bit of tough love from the tradesmen around the site". But it was the Bunnings site at Bundamba that impressed Lockyer yesterday. The new store will employ 147 people. 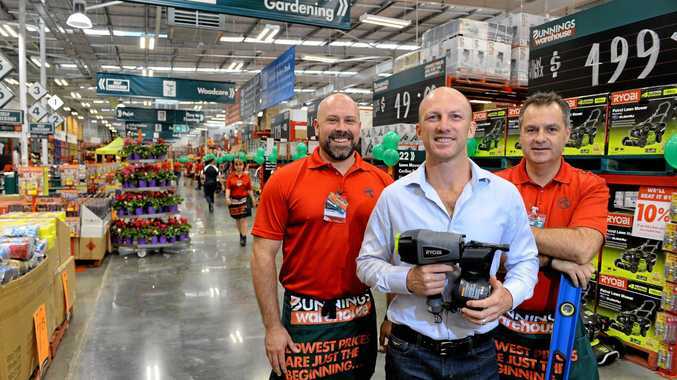 "Bunnings have been around for a while and seem to get bigger and better," Lockyer said. "You can pretty much get everything you want here. "I think the home improvement and home renovation type market, with all the reality TV shows now, is a pretty popular thing. "It's obviously an industry that is in demand but it also creates jobs which is great for the local community." Bunnings Warehouse Bundamba replaces the former store in Booval, with all team members bar two retirees transferring across. Bunnings has invested more than $44 million in the store, which provides parking spaces for over 350 cars. Meanwhile Lockyer said he still gets the nail gun out from time to time. "I still do a bit, but I know where my strengths and weaknesses are so I don't try and bite off more than I can chew," he grinned. Lockyer mingled with staff and those in attendance at the opening who were rapt to have the opportunity to meet one of the true greats of the game. Ipswich has always been dear to Lockyer's heart. It was at North Ipswich Reserve that he first came to the attention of Wayne Bennett at a junior carnival. He also won premierships alongside good mates Kevin Walters and Allan Langer, two of Ipswich's favourite sons. "Every time I drive into Ipswich I think of Alf and the Walters boys," he said. 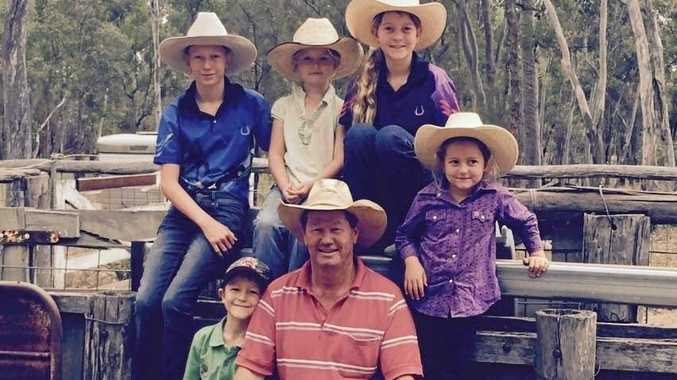 "I know (mayor) Paul Pisasale pretty well and I think he is a go getter who has done a good job for the local area."